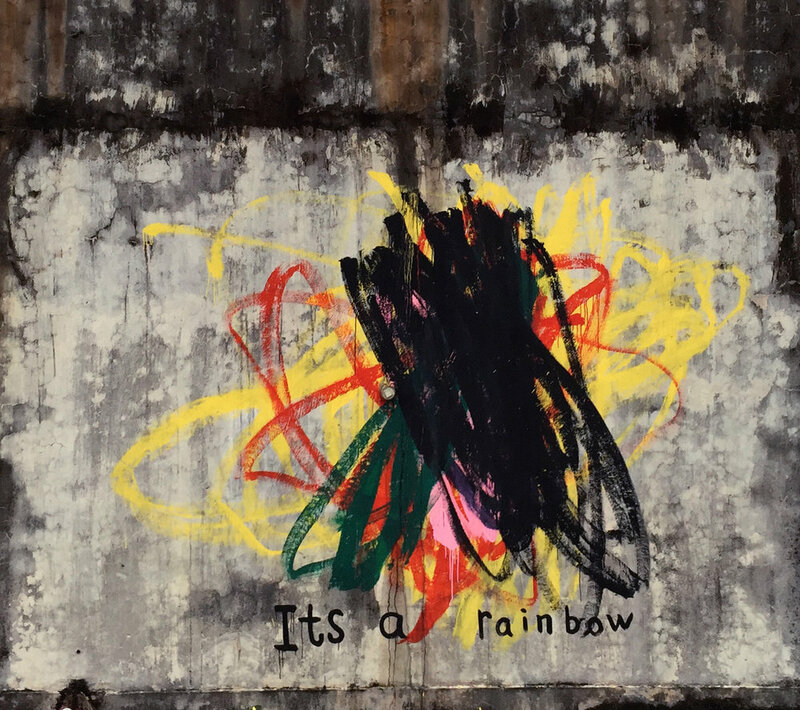 Its a rainbow, 2016, Acrylic on wall. There were three hyenas glowering the body of a dead deer which was eaten by several kinds of animal predators. After a few days, when the predators left the body, the hyenas came immediately and tasted the remains of the body.